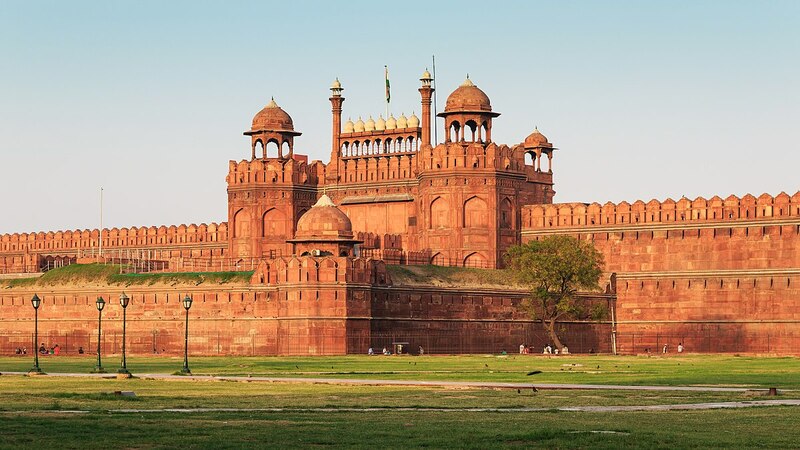 Delhi is one of the oldest cities in India and has been the Capital city for centuries ruled by different empires and kings depending upon the time. Since it has been the capital of Indian rulers since ‘forever’, it has numerous places built in the historic times from temples to fortes to tombs. Delhi is most famous for the cheap and bustling markets where you can buy almost everything at rock bottom prices. Believe me! Delhi is not just another overpopulated congested city; it offers more than its share of attractions to the sincere visitor who does not fear the heat and the crowd. Following are the best places to visit in our National Capital. 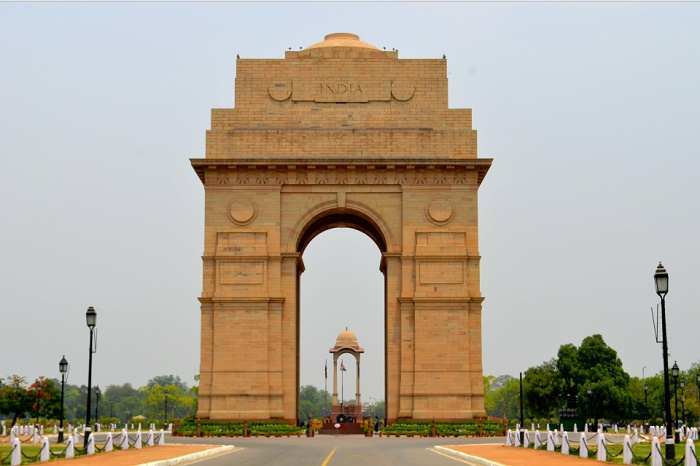 The India Gate was built to commemorate the life contribution of more than 82000 Indian soldiers who lost their lives in the First World War. It is the home to the ‘Amar Jawan Jyoti’ which is a torch that has been alight 24×7 since 1972 to pay respects to the martyrs of the 1972 Indo-Pakistan war. The place also has large green gardens which act as picnic spots to the tourists. 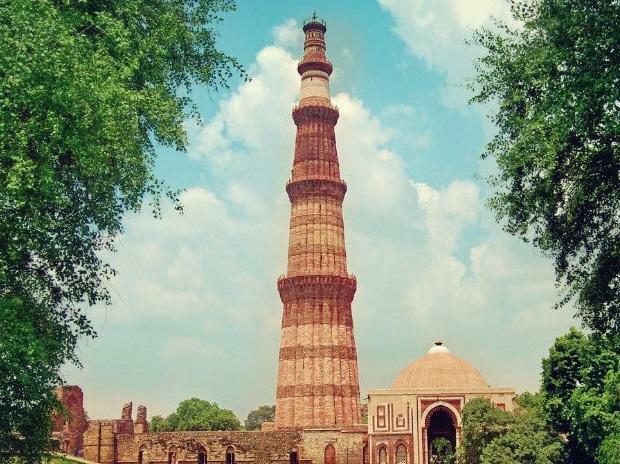 The 240 feet vertical standing tower built in 1192 by the then ruler Qutub ud din Aibak, is one of the top attractions of Delhi. The complex is named after its ruler and is listed as a UNESCO world heritage site. The tower is made purely out of marble and red sandstone and has 379 steps to the top but alas! It’s been closed to the public since 1974 for conservation concerns. As marvelous as it is, it is a relative to the Taj Mahal being built by the same ruler, Shah Jahan in the year 1648 during the reign of the Mughal Empire. Shah Jahan wanted to shift his capital to Delhi and name it Shahjahanabad and hence built this fort to be his residence. You all must have seen this forte at least once since this is the place where the flag hoisting ceremony takes place every Independence Day. 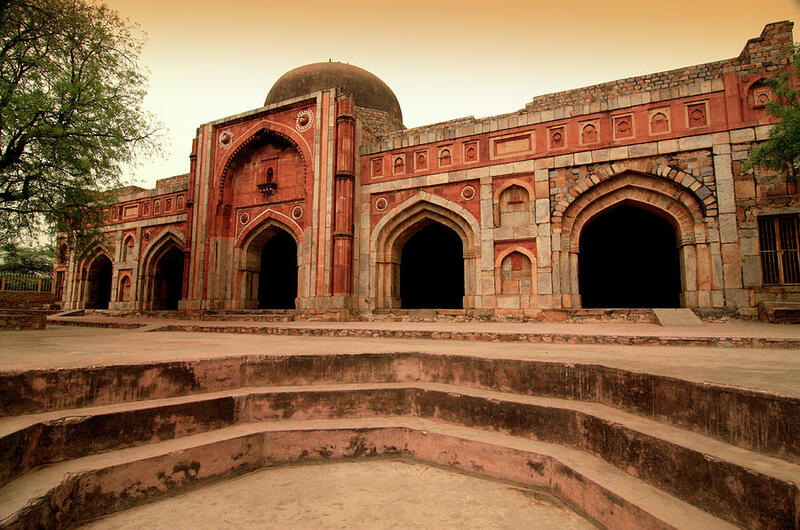 Delhi is full of historic artifacts and attractions which comprises of several buildings, forts, and tombs. 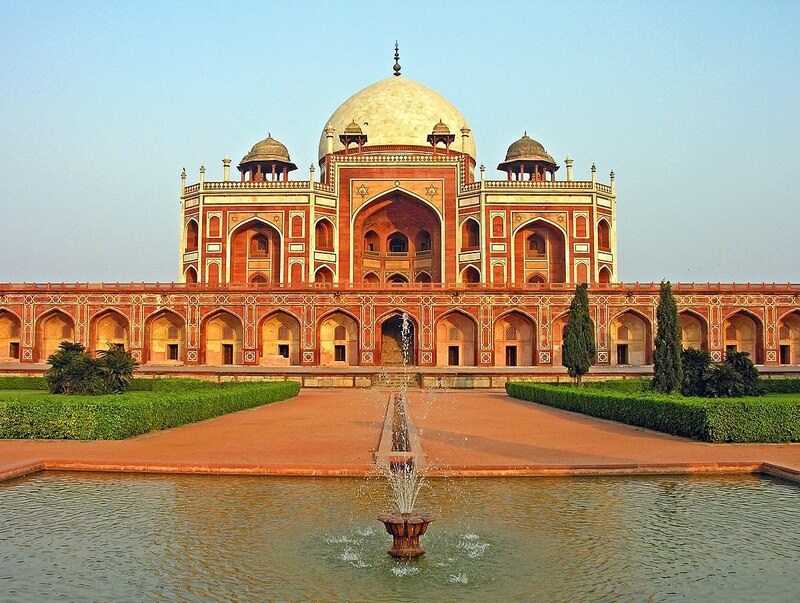 This tomb was built for the Mughal Emperor Humayun by his wife and took nearly 14 years to build. It is regarded as the first garden tomb in India and is surely a place to visit. 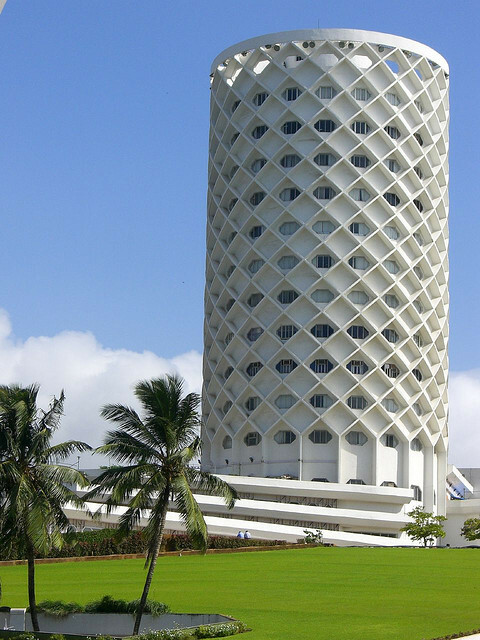 Among the most famous places in Delhi is the lotus temple. 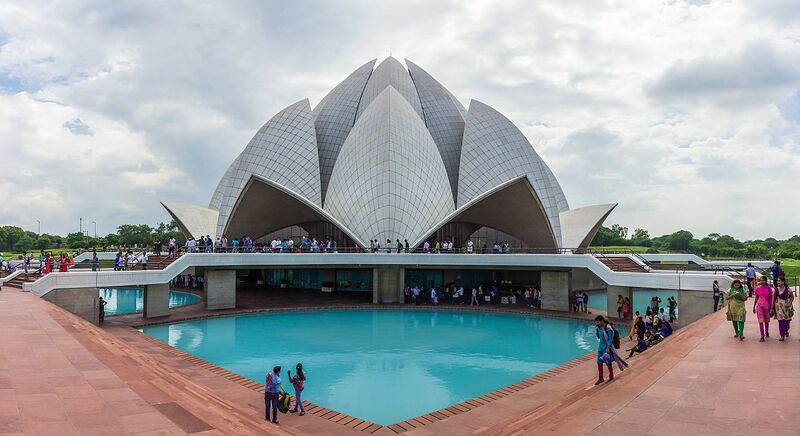 Made purely out of marble, the temple is built to resemble the lotus flower and is a major architectural marvel. Opened in the year 1986, this temple is open to all faiths and is regarded as the birthplace of the Baha’i faith. The temple complex is massive and is not only one of the largest in India but also one of the largest Hindu Temple in the world spread over an area of 83,342 sq feet. The temple consists of a number of neatly organized and beautifully architectured temples all around with the main sanctum at the center. The big palatial residence of the President Of India is one of the most beautiful and the second biggest Presidential residence in the world. Consisting more than 400 rooms, it also boasts of the beautiful Mughal gardens in the complex. 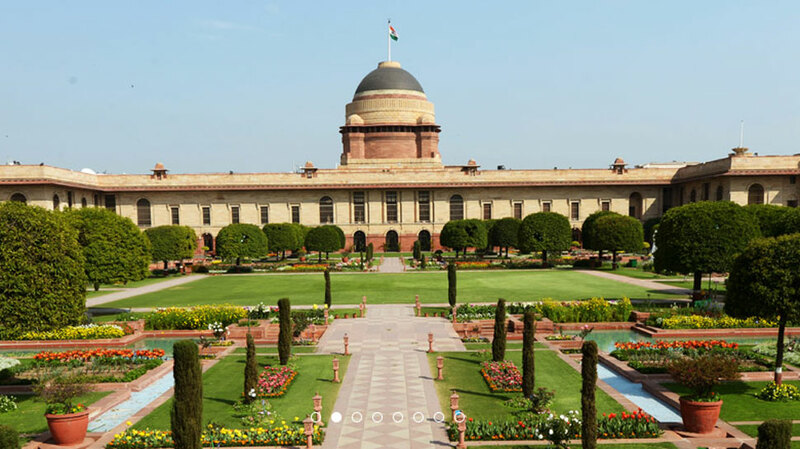 The Rashtrapati Bhawan is open to visitors on weekends who have registered themselves on the online portal. 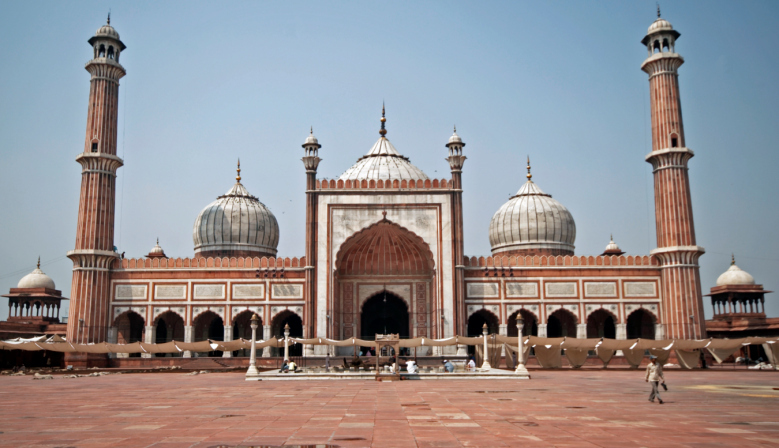 Another old monument is the Jama Masjid which was built in the 17th century and is another gem in the vicinity of Old Delhi and also an important place of worship. The mosque can hold up to 25000 people at a time and is a great sight at the weekly Friday afternoon prayers. 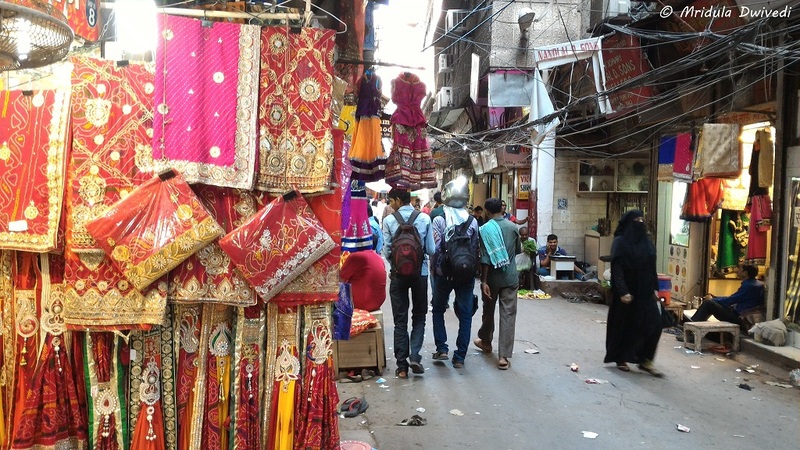 Chandni Chowk is one of the oldest and the most well-known markets in Delhi. The name Chandni Chowk comes from the concept of illuminating the market at night by reflecting the moonlight with the help of many canals and pools. The market is one of the oldest and the most crowded in Delhi initially believed to be built in the 17th century as the market in Shahjahanabad and was planned and executed by Shah Jahan’s daughter Jahanara. The market is one of the largest wholesale markets in Delhi with every little item on sale that you may desire at rock bottom prices. Located on a narrow street of the Chandni Chowk, this street initially had shops selling silverware and sarees. 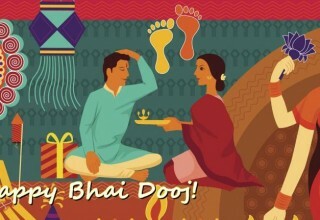 The first parantha shop here was opened by Pandit Gaya Prasad in 1872. 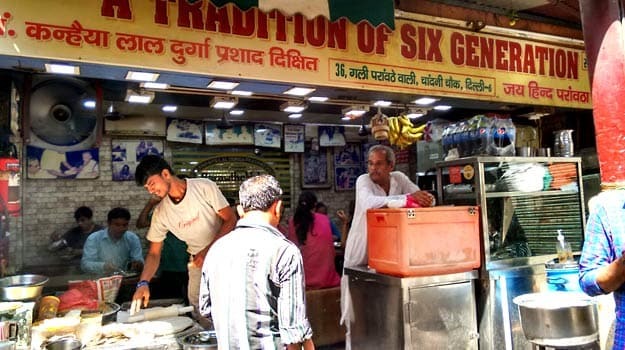 This became the most famous place for paranthas in the proceeding time with 3 of the 20 shops still being owned by the descendants of Pandit Gaya Prasad offering different assorted paranthas. Another temple to visit in your list, this temple is located in South Delhi and are actually a group of temples rather than a single one and the second largest of its kind in India. The temple is dedicated to Goddess Durga and the best time to visit the temple is during Navratri. 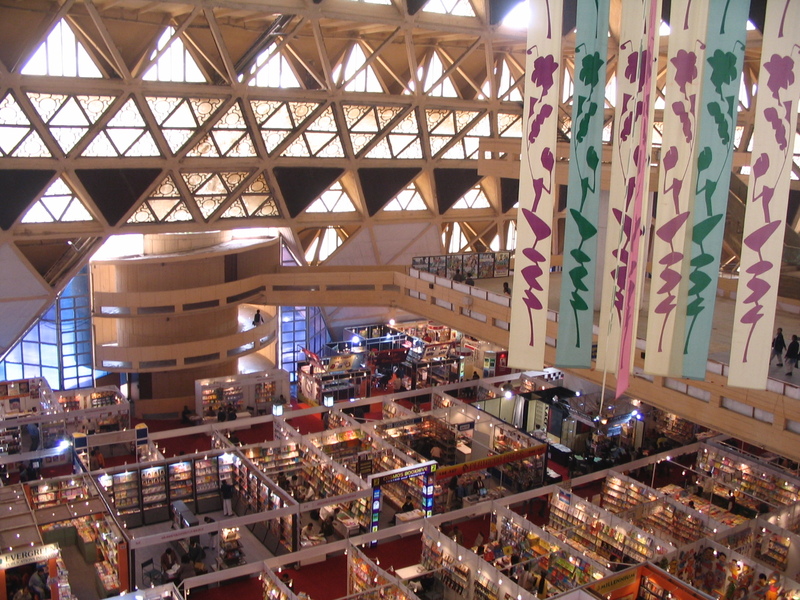 Pragati Maidan is the hub for numerous national and international exhibitions of articles and stuff varying from handicrafts to home utensils to cars. The exhibition ground is always hosting one exhibition or the other and must be visited. 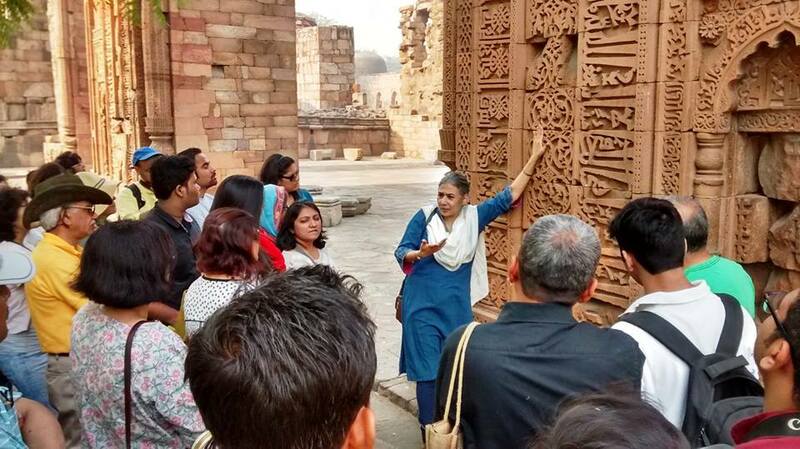 Since Delhi is full of scattered historical monuments and buildings of importance, Heritage walks are a good way to cover and visit them all with a group of other people and a trained guide to tell you about the places. Another famous Delhi market to look forward to visiting while on your next trip. 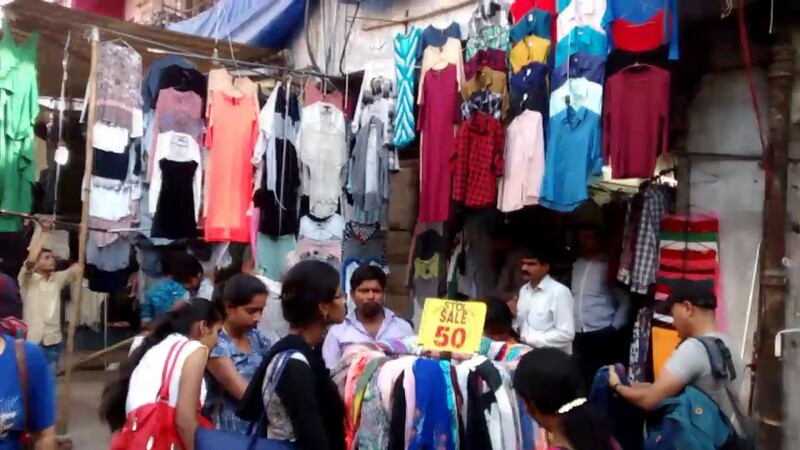 The Sarojini Nagar Market is another crowded and congested market that sells all kind of articles and products mostly clothes. These products can be bought at extremely cheap prices and also the market has many shops that claim to sell genuine branded stuff at cheaper prices which is kind of a risk worth taking. Shining bright in the day with its golden dome, the Gurudwara is easily visible from miles away. The gurudwara was built under the supervision of Sardar Bhagel Singh in 1783. 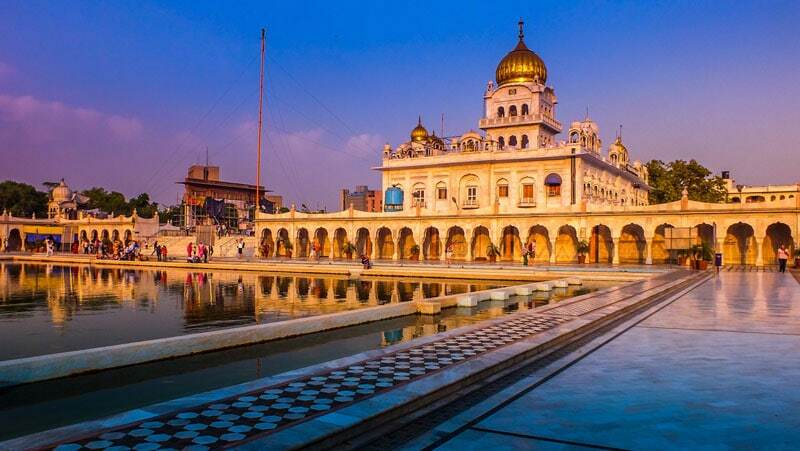 This is a major religious shrine for Sikhs all over the world and is a place you must visit. 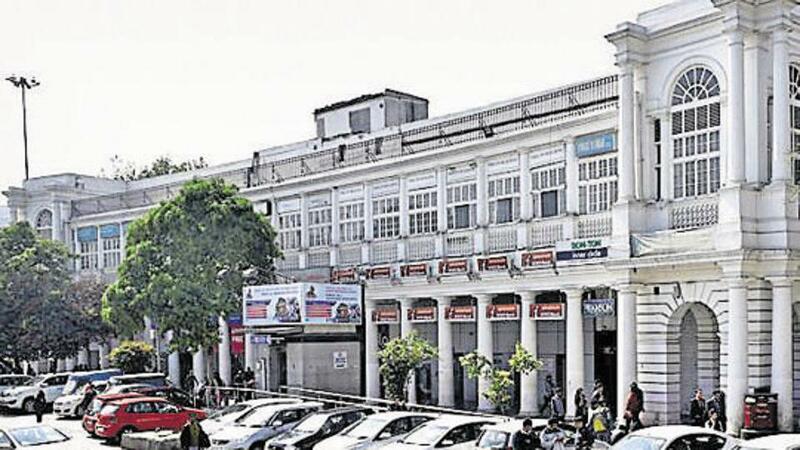 The Connaught Place is one of the largest shopping, business, a financial and commercial spot in India. It gets its name from Prince Arthur, the first Duke of Connaught who started the building of the plaza in 1929 and finished in 1933. 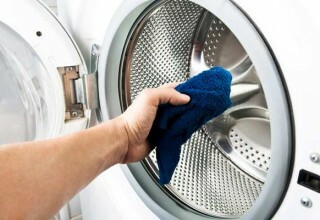 The place is now home to all kinds of companies and recreational activities. This is the city’s hotspot for dining, clubbing and enjoying. It also holds many businesses that are scattered throughout the complex. 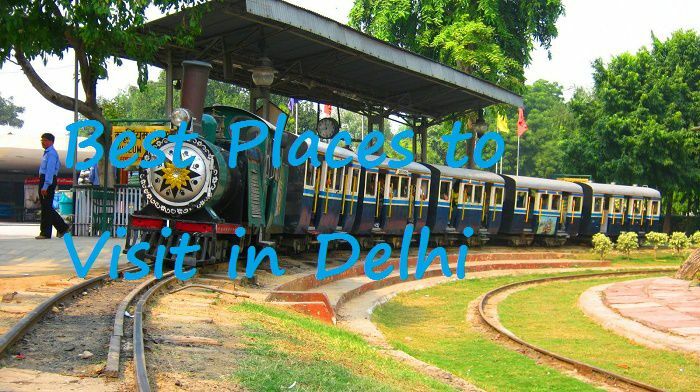 An establishment started by the joint venture of the Ministry of Tourism and the Delhi government, Dilli Haat is the best place to visit and experience the culture of different places throughout India. The complex hosts various cultural performances and offers an opportunity to the local handicrafts sellers from different states to showcase their talents and earn some profit and hence is a good place to buy some artifacts from different states. Quite popularised by the protests made by Mr. Anna Hazare, Jantar Mantar is actually a quite pleasant and informative place to visit. The place houses 13 different instruments to measure the time and astronomical cycles of different celestial bodies and planets. The Fort built by Firoz Shah Tugluq is a great place to visit unless if you are terrified to the bones by the talks of ghosts. 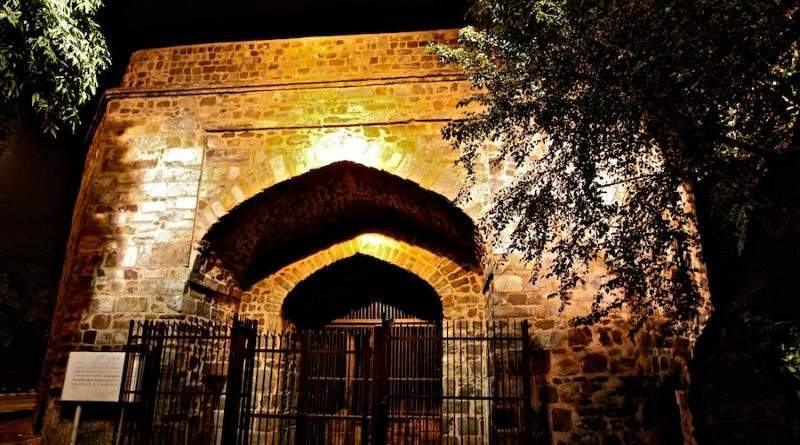 The fort is said to be haunted by spirits, Djinns to be exact and thus attracts a large number of tourists to appease these supernatural entities. If you are a follower of soul music, a visit to this place on Thursday evening will be one of the best parts of your trip. 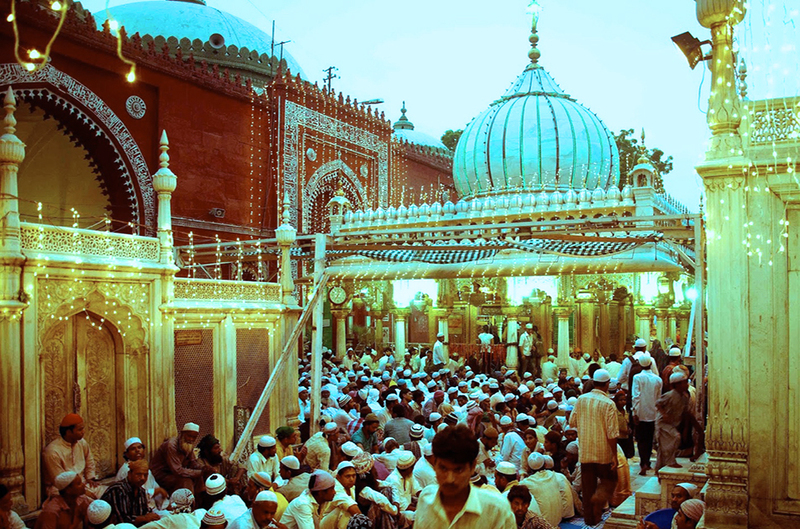 The Qawalis sung at the Dargah would astound you with great lyrics and absolutely best voices singing them. 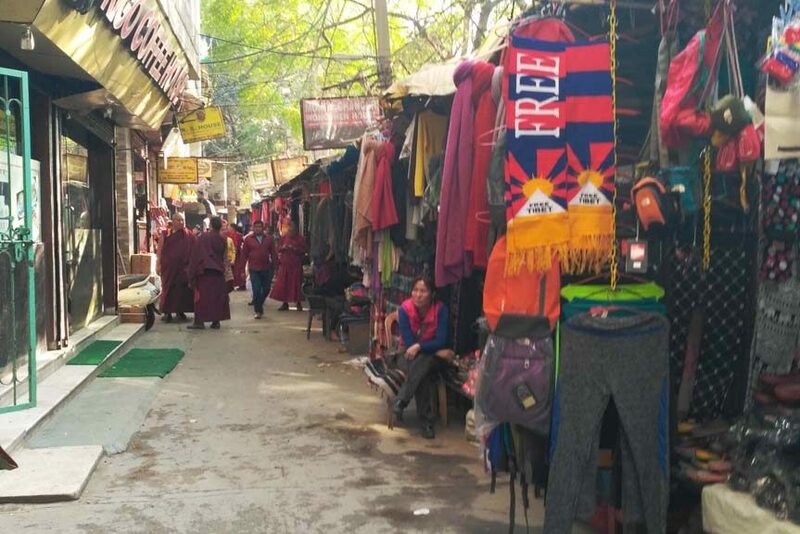 Little Tibet is referred to an area in Delhi where Tibetan settlers serve the best food from a variety of cuisines like Chinese, Tibetan, and Korean. 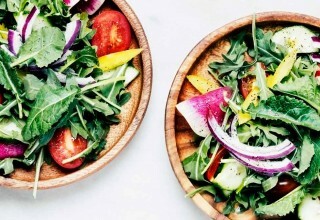 The place offers the best available food and at extremely low prices. 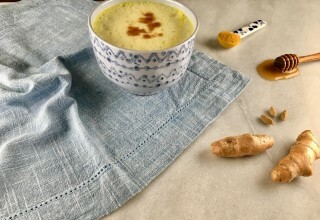 This place has a number of restaurants serving a different variety of food items and range from the absolute high end and expensive to cheap roadside stalls. 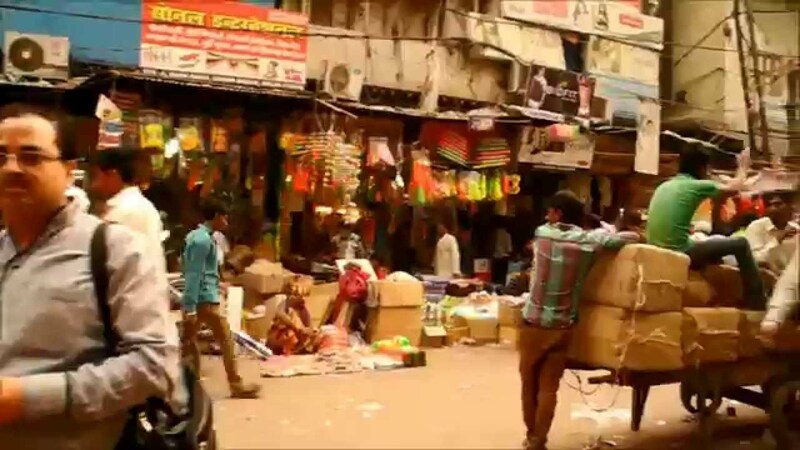 Sadar Bazaar is referred to as the largest wholesale commodities market in Asia. Its title is well justified since the market sells everything that you could think of from spices to stationery. The market is absolutely humongous and you must decide what you need to buy or look at before entering the market or you could get buy hundreds of appealing things that you don’t even need. Forgetting the most well-renowned books at a budget, the Sunday Book Market is a must place to visit for any book/reading enthusiast. 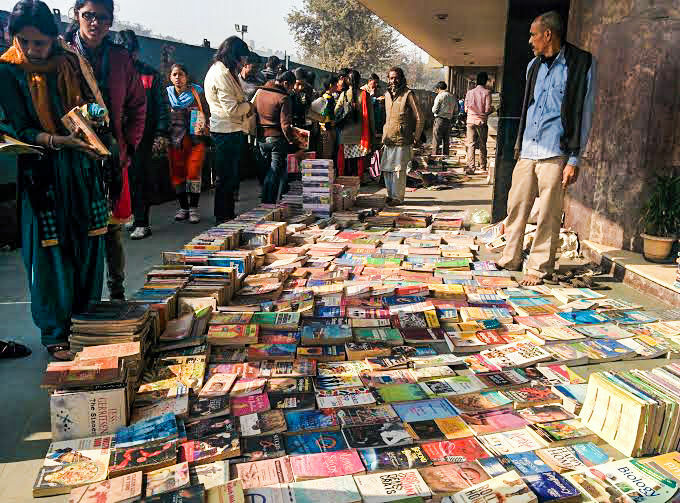 The book market is set up on the pavements of roads in Old Delhi and the stretch of the roads is full of book vendors. You can find any book you might want to read in every possible genre if you search hard enough. 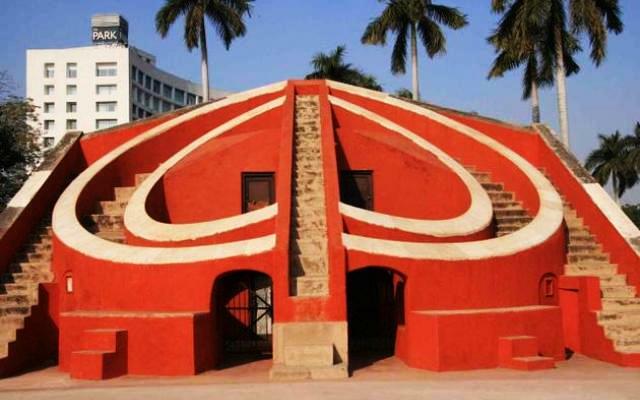 Located in Chanakyapuri, this museum was opened on February 1st, 1977. It gives you the broad spectrum of how far the railway transport has progressed during the years with various train engines kept on display. 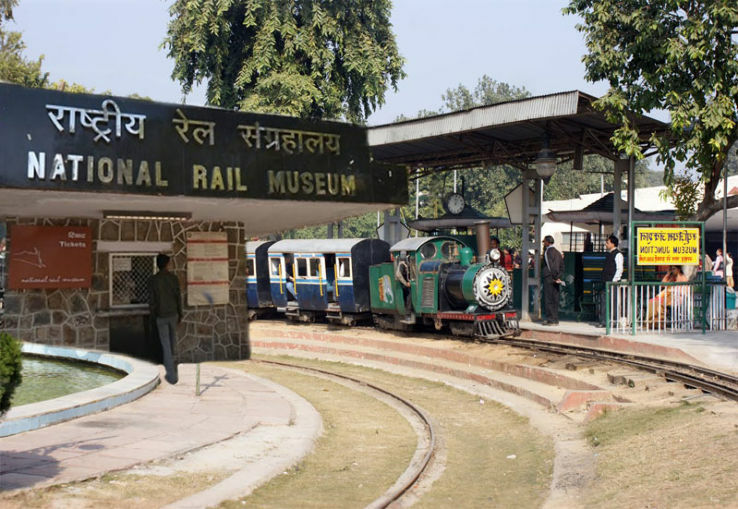 It also offers train ride simulations and a toy train ride across the 10-acre museum complex. 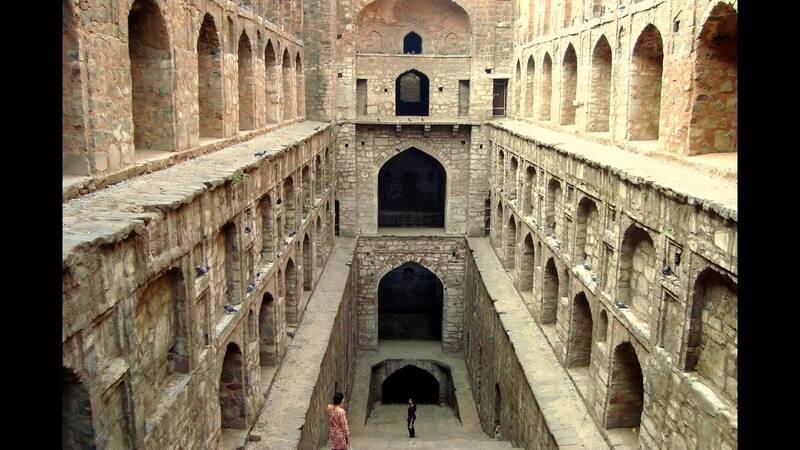 Believed to be built by King Agrasen in the 14th century, this step well was made famous worldwide from the scenes of the famous movie PK that were shot here. It is a protected site and is located near Connaught Place. Spread over a massive area of 20 acres, this garden took almost 3 years to properly come into existence and was inaugurated in 2003. The purpose of this garden was to trigger our five senses with the beauty and the Serenity around the garden and let us experience all the senses by touching, smelling, hearing and seeing. 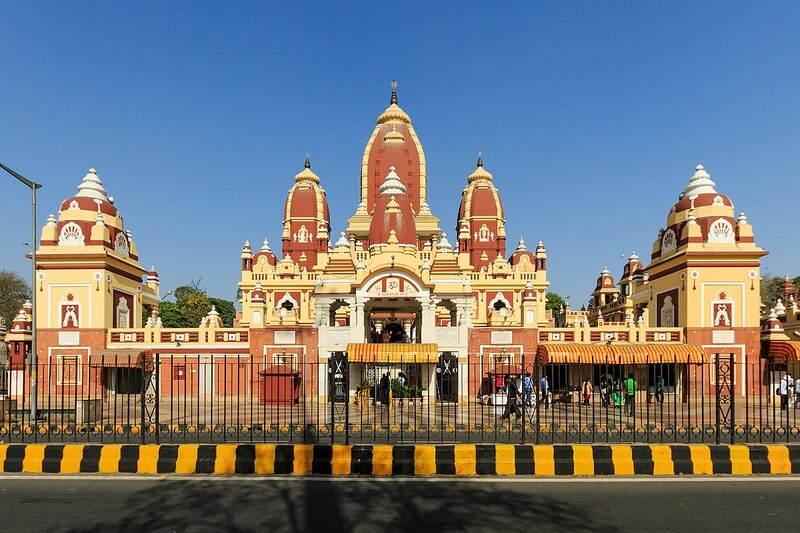 Just like at any major city in India, Delhi has its own Birla Mandir which is named after the Birla family who built it and has built numerous other Hindu temples throughout the country. 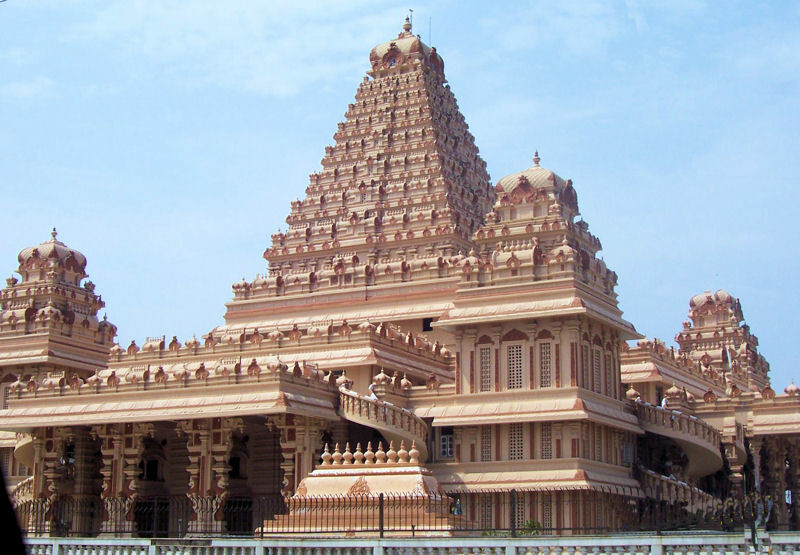 The temple is made with white marble and sandstone which makes it very appealing to view. The best and the most beautiful flowers that you might ever see are sold in this market. The market is located at the Ghazipur village in Delhi and opens around 04:00 am every day to supply the best and the freshest flowers to the vendors. You too can get in and pamper yourself or buy for someone else the best beautiful flowers at a budget price. 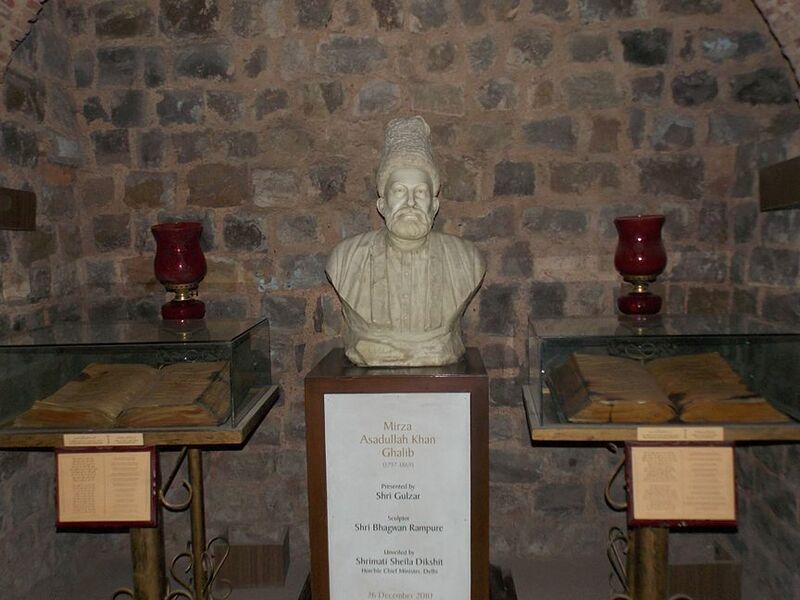 The home of one of the most noted Urdu poet Mirza Ghalib is a heritage site declared by the Archeological Survey of India. If you are aware of his writings and poems, this place would give you the similar essence as his poems give while reading. 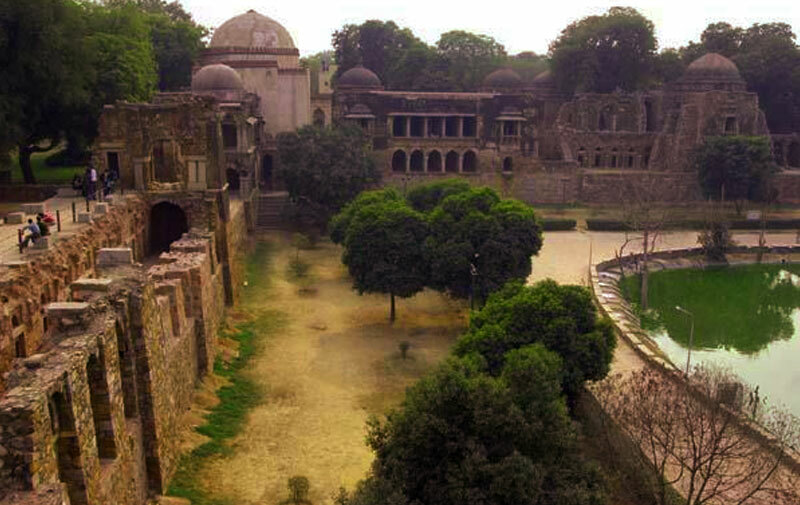 A walk at the Lodhi Gardens must be on your To-do list as it is very magnificent and absolutely ginormous being spread over an area of about 90 acres. 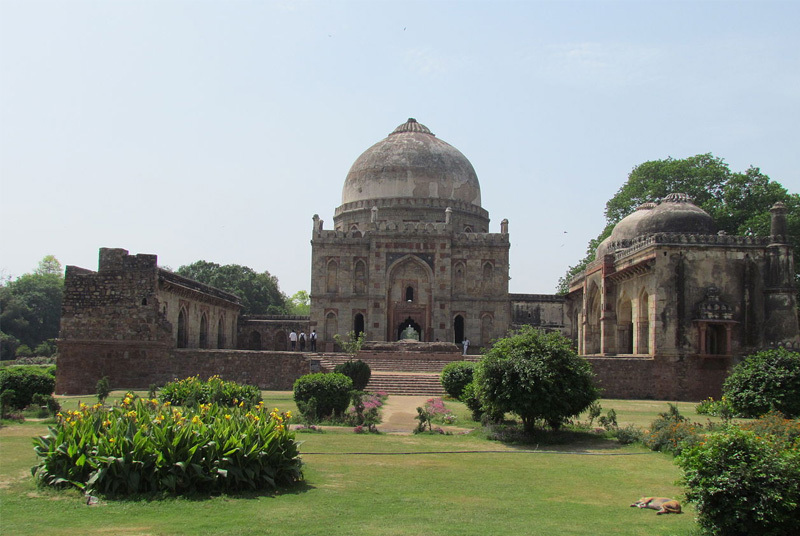 It contains many historically important structures and architectural masterpieces such as Mohammed Shah’s Tomb, Tomb of Sikandar Lodi, Shisha Gumbad and Bara Gumbad. It is also a great place for birdwatchers since many birds accumulate in the gardens due the lack of open space in the city. Since the Monsoon session of the Parliament is going on, you must not be aware that you can actually attend a session of the Parliament and witness all the discussion and decisions being made. 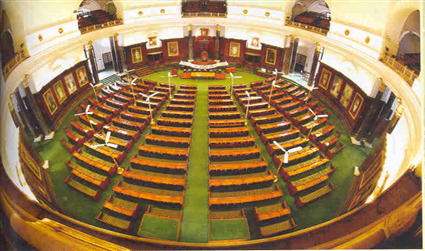 The proceedings of the Parliament can be viewed from the Visitor’s Gallery for which online booking can be made. The Delhi Zoo is not another local zoo with a diminishing number of animals and crippled infrastructure. 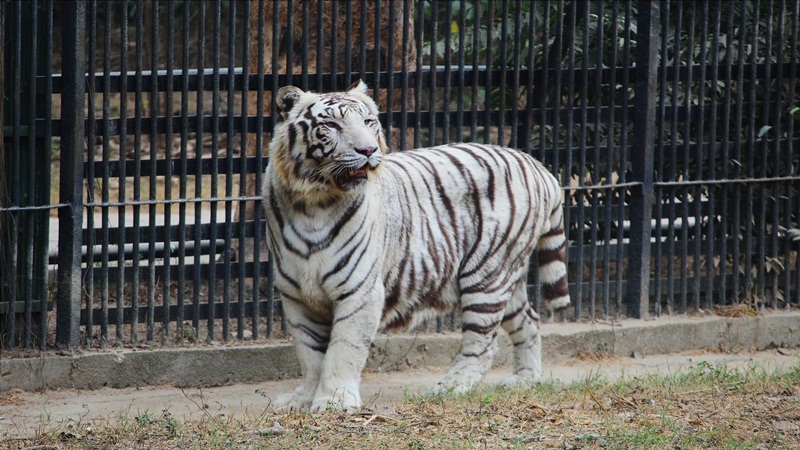 The Delhi zoo also is known as the National Zoological Park is home to nearly 2000 different species of animals and birds. While the best experience is gained on foot, the zoo also has the facility to hire electric cars to wander around the massive zoo complex. The National Science Centre is located at a very convenient location near the Pragati Maidan and thus could be visited easily. The 8-floor museum houses exhibit ranging from art, culture, and heritage to prehistoric specimens in the Dinosaur gallery. Two different aquariums have also been put up on display, one with sea animals and the other with freshwater animals. This is a quite fun place to be if you aren’t creeped out by the sight of a building full of different dolls all of which seeming to be looking at you. The museum holds more than 6500 exhibits from 85 different countries. 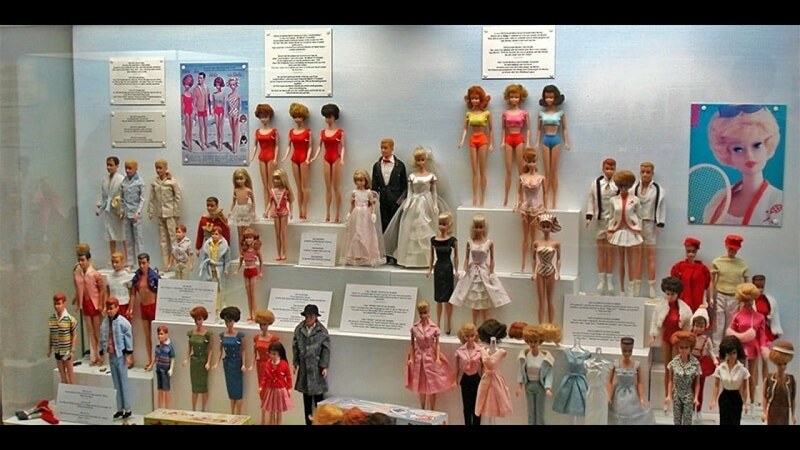 The museum is split into two sections, one with dolls from India and Asia and the other for the dolls from the rest of the world. 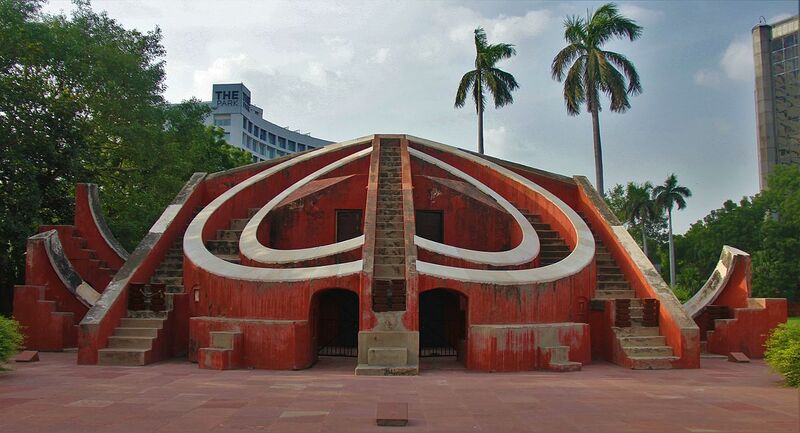 The vision of our first Prime Minister, Pandit Jawaharlal Nehru, the Nehru Planetarium opened to the public in 1977. The place with time has evolved from a planetarium to a scientific study center for astronomy and meetings and lectures concerning astronomical events are held here. 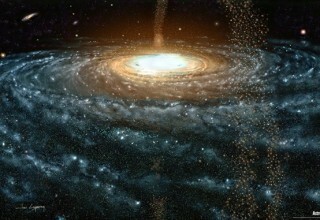 Over that, it still runs planetarium shows which it was originally designed to do. 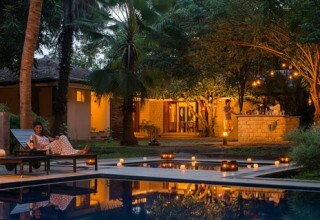 The Hauz Khas village is located in south Delhi and is now a great combination of history and glamour. Originally the site of various ancient structures and tombs, the area has evolved into a hotspot for shopping and dining with numerous shops, restaurants, pubs and clubs. This is the place to be if you want to party or even for a decent dinner. 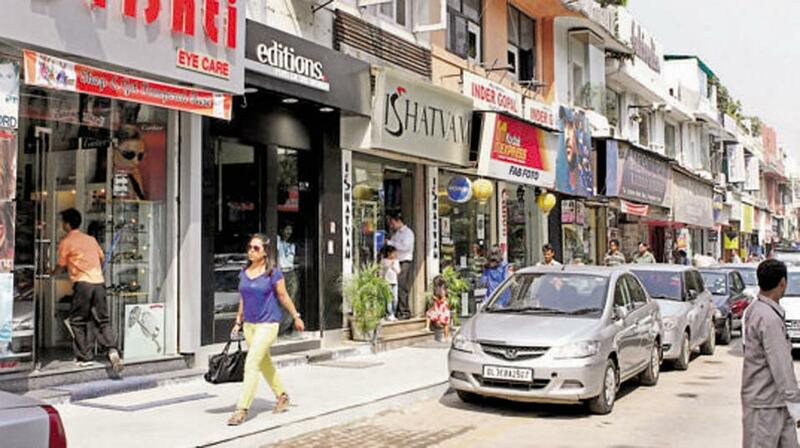 Another beloved small market of the city, the Khan market is one of the locals favorites and is located at one of the most upscale real estate properties in Delhi. The market offers numerous Indian as well as international brands shops and also is a great place to dine with a variety of famous restaurants. 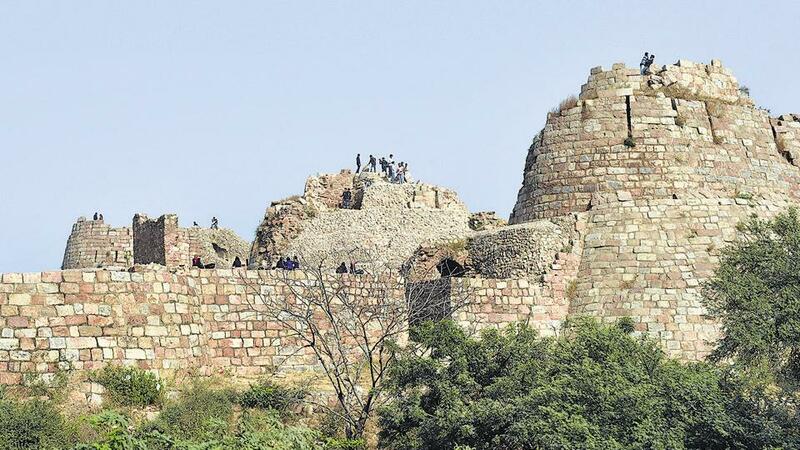 Built by the founder of the Tugluq Dynasty, Ghiyas ud din Tughlaq the fort is a large stone structure, with high walls and is about 6 km in length. The forte carries a legend according to which, Ghiyas ud din Tughlaq forced every male in the area to work on the forte leaving anything else. One man got very angry and refused to work and cursed the emperor that the forte will never prosper and coincidently, it never did. A haven for bird watchers and nature lover is the Okhla Bird Sanctuary which is situated alongside the banks of the Yamuna river. The Sanctuary is the best place to visit during the winter months when numerous different species of migratory birds come here and offer one of the best bird wat6ching experiences in your life. 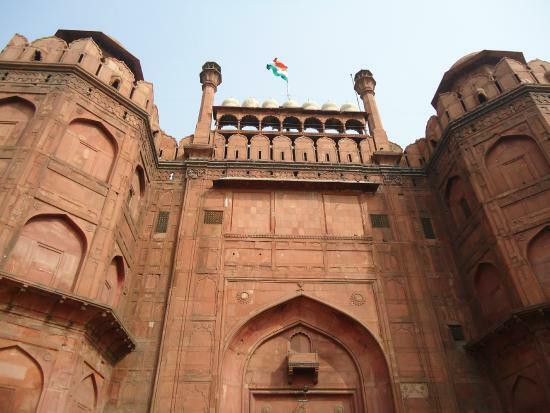 The Lahori Gate is the main entrance to the Red Forte but has a great interesting history. While one of the roads lead to the Chandani Chowk market, the other roads in the olden times lead directly to Lahore which is now a territory of Pakistan. Dating back to the year 1528, the mosque is also a tomb for two people Jamali and Kamali and hence the name. The mosque gained a lot of popularity after people reported ghost sightings and hearing weird sounds after sunset making it one of the spooky places not good for the weak hearted. 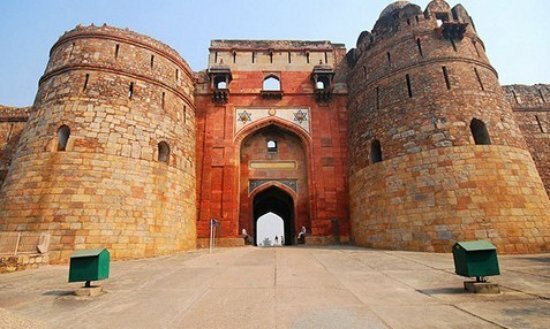 Not to be confused with the Red Fort, this fort was the first military bastion constructed in South Delhi in its era dating all the way back to 731 AD. 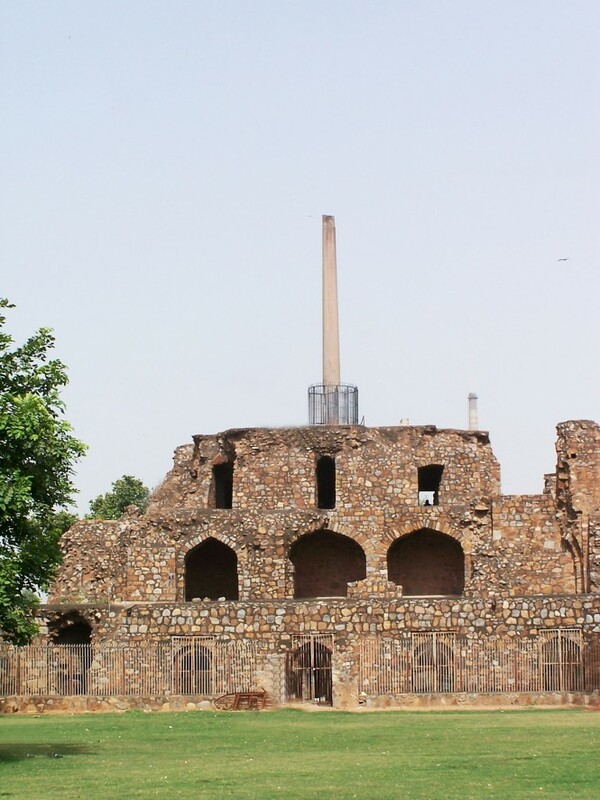 The fort has 7 entry points and offers a great view of the Qutub Minar. 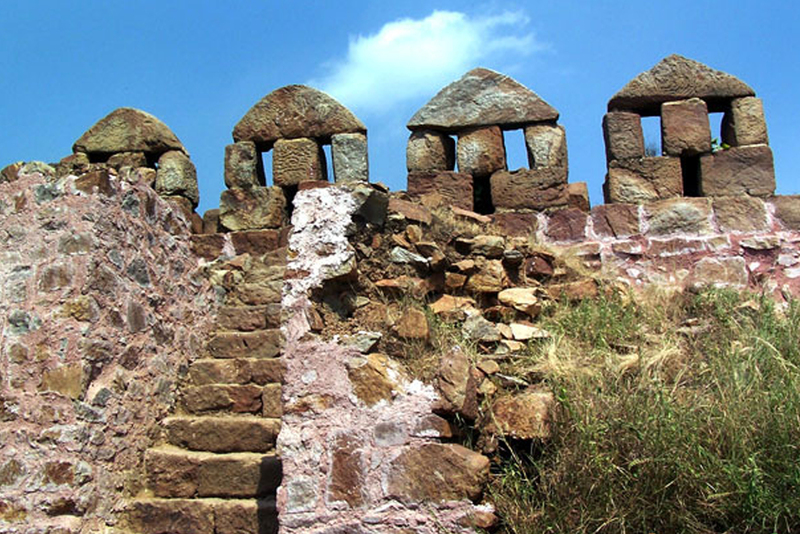 The fort itself is in ruins but it still portrays its glory days in some parts. ‘The Boody Door’ or the Khooni Darwaza is a gate located in the heart of Old Delhi. This is said to be the place where the three sons of the Emperor Bahadur Shah Zafar were executed by the British General William Hudson. It carries a legend that if in case a white man passes the front of the gate, the three sons will haunt him for the rest of his life. The Old Fort also known as Purana Qila is one of the oldest fortes in Delhi. It is not sure when the fort was built but the researchers have been able to date some artifacts collected from the site to as old as the 3rd century. The fort also offers a boating area to the tourists who are interested and is a great place to visit. 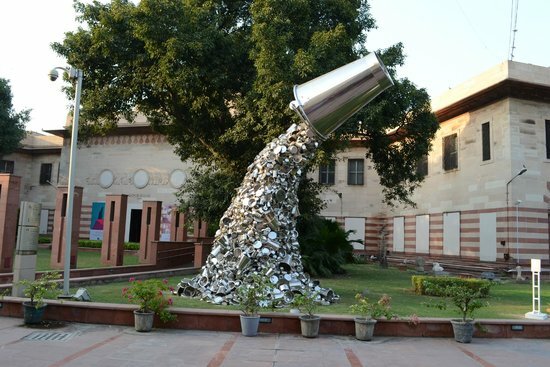 The National Gallery of Modern Art is located at Jaipur house near India Gate and is a premier institution for the appreciation and showcase of modern art in India. The museum is situated in the former residence of the Maharaja of Jaipur and showcases numerous art pieces, the oldest dating about 150 years. The gallery showcases the work of many Indian artists and also some of the pre-independence works of some British artists.